Complicated, manual, generic student financial services create barriers to student enrollment and retention putting higher education’s life-changing possibilities out of reach. Many students simply drop out of the process especially first-generation, low-income students—with 40% failing to enroll in college because of the complexity of the process itself. It’s time to prioritize students over processes. Manual, paper-based student financial services are inefficient. StudentForms drives FA office productivity, reducing time spent on verification, SAP Appeals, PJs and c code resolution through paperless file review. Conflicting information is highlighted, eliminating the data entry necessary to generate ISIR corrections. Automated student follow-up via text and email reduces time spent chasing students to complete critical tasks. Students today are used to mobile, online communications—they aren’t used to waiting for information. Often bringing as many as seven internet-connected devices to campus with them, your FinAid needs to mobile-up to grab students’ attention. StudentForms delivers with e-signature, text updates on where they are in the process, and document upload from any device. We believe student financial services software should be easy, mobile, and personalized. So, we built the first—and only—unified platform that removes barriers along the student journey. 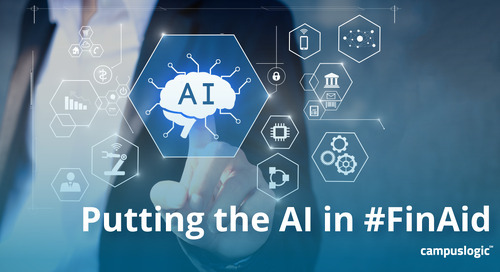 We’re putting the AI in FinAid. Chris Chumley shares the vision driving the most intuitive financial aid chatbot ever. Yes, ever. Reduce friction. Go faster. Keep polishing. Apply more graphite powder. Chris Chumley, COO of CampusLogic, on how the student experience and FinAid friction drive everything we do. 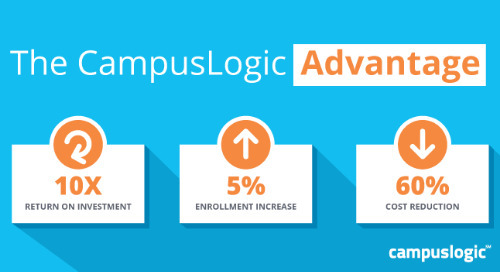 Find our how we help colleges and universities across the country boost enrollment, streamline efficiencies, simplify compliance, and secure data. UC-Santa Barabara enjoyed a speedy StudentForms implementation for 2017-18. As the software launched, UCSB found 10 ways enrollment and FinAid drove a better student experience. Meet ScholarshipUniverse, our newest approach to simplifying the student financial services puzzle—and an exciting addition to our powerful platform. COO Chris Chumley shares his vision. How do you get students to adopt your new CampusLogic platform? 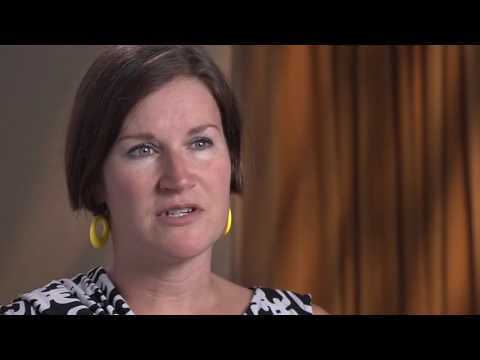 Strategic change management and our Student Rollout Kit sets everyone up for success. Does your NPC collect contact info? Does it integrate with your CRM? While students aren’t required to submit contact information, CampusLogic’s Rick Dwyer explains why you should ask for it. ScholarshipUniverse, a single source for institutional and vetted external scholarships, identifies and matches relevant scholarships—tailored to each student’s unique goals, and life situation. Leadership at University of California-Santa Barbara struggled to normalize the FinAid process for students covered under the California Dream Act. Then, StudentForms rolled out a Cal ISIR process. “We’ve easily improved our award letter-production efficiency by, at-minimum, 50%,” says Andrea Van Horn Del Vacchio, Director of Financial Aid at Neumann University. Customer Success Manager Marc Alexander explains how to ensure your net price calculator is simple to use—and smart enough to be accurate without added complexity. ScholarshipUniverse put more than $6 million in external scholarships in the pockets of UA students in 2016. Even better? It makes the entire process easier for students and staff. Optimized and mobile responsive, AwardLetter meets students where they are: on the go, on any device. 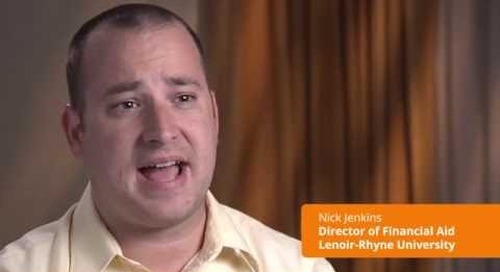 Provide the best student experience by delivering personalized, dynamic content. Concordia University, St. Paul sends mobile AwardLetters to 100% of aid recipients & improved process efficiencies by 90%. Deliver accurate, precise calculations tailored to your unique programs. HEOA-compliant, ClearCost integrates with your CRM turning your NPC into a powerful lead generation tool. 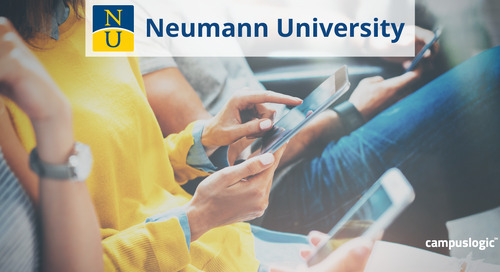 Improved efficiency and increased student financial literacy are the new normal at Neumann University, thanks to their easy, mobile, personalized AwardLetter.